I checked out Jdubs Brewing Company's Poolside Kolsch while visiting Lakeland Brewing Company at the start of #EpicBreweryWeekend. It was the only guest beer they had on tap. 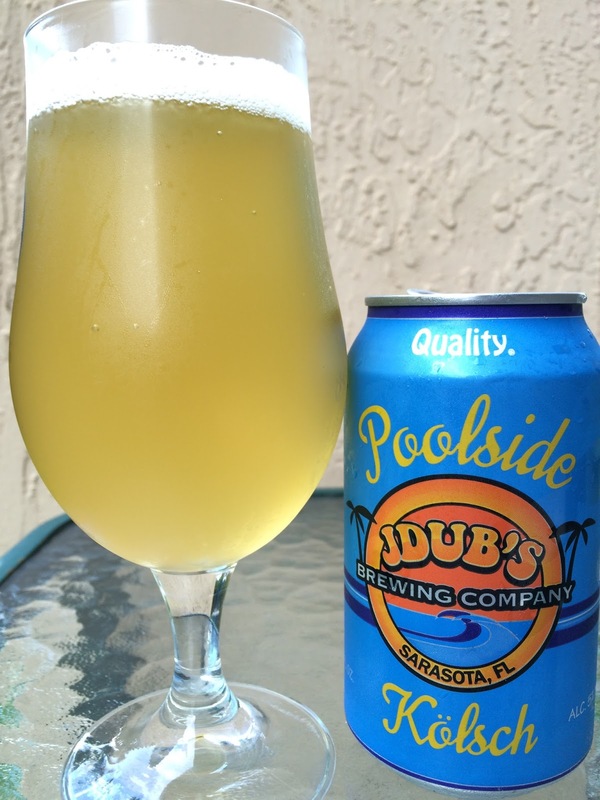 When I saw it at my local liquor store yesterday, I figured I'd grab a can and do a real review here. I like the can - all blue representing an endless ocean, a few simple palm trees and waves, good design. 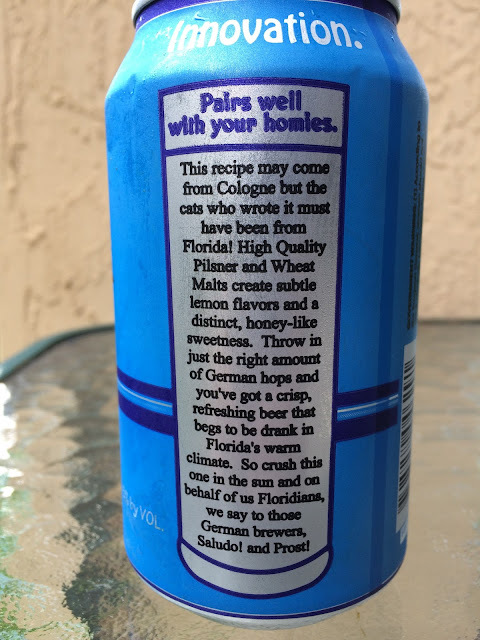 The brewery is in Sarasota, Florida, though they explain in their "Pairs well with your homies" story that this beer's recipe is from Germany. 5% alcohol. Pretty limited aroma, maybe some light lemon and grain. Lots of lemony bitterness comes first and is quickly followed by some grain and saltine cracker flavors. Carbonation is really good and enhances the sharp prickly bitter nips at the palate. Finish is a little spicy and lingers afterward. Very simple yet good flavors. Clean and refreshing. "Crush this one in the sun!"